Don’t miss out on this free Christian inspirational book! FREE on Wednesday 8/8/12 and Thursday 8/9/12 “Finding Hope in the Midst of Tragedy” by Shelley Hitz. 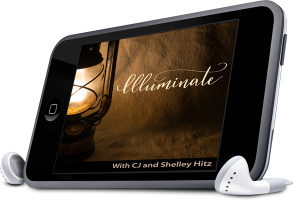 Not only will you be able to download Shelley’s book for free, but also three other Christian books during her special book launch. This book is Shelley’s own personal journey to finding hope after a tragedy hit her family. However, she did not want this book to be her story alone. Instead, she wants it to be a resource for you to find hope in the midst of your own difficulties. That is why she has added the sections that you will see through the book called, “From My Life to Yours,” where she includes journaling prompts and reflection questions for you to apply what you are learning to your life. Her prayer is that God leads you to find His hope no matter what you are currently walking through. TGIF…Thank God it’s Friday, right? 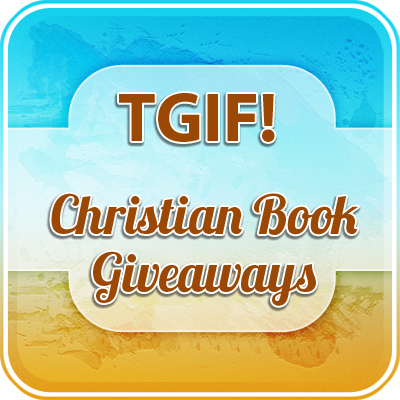 And to celebrate, we are hosting TGIF Christian Book Giveaways. Let’s celebrate the start of another weekend together. Description: Was it a miracle, God-given determination, or both, that lifted Kathi from the paralysis that blindsided her, confining her to a wheelchair? No one wants to face such a life-changing health crisis, but Kathi takes us on her journey of creating a new life with a disability. With a husband also hospitalized, she is alone in her battle. A rehab center becomes her home while she searches for strength of body—and mind. See how acceptance, determination, and courage can overcome the challenges of everyday life. Reading about her progress, you realize she is just like you—an ordinary person who accepts the challenge to accomplish extraordinary feats, inspiring us by her power of faith and determination. What can you get for less than one dollar these days? Maybe a dollar store find or a garage sale deal. However, for a limited time you can add these Christian books to your virtual bookshelf for only $0.99. This is our “$0.99 Christian Book Sale.” Get these books while they are on sale from 7/24/12 – 7/27/12. Note: We have not had the opportunity to read and review every book, we are simply giving you the information of which books are on sale today. Also, before you download each book make sure that it is indeed still $0.99. If you don’t have a Kindle, you can still read these books online through your internet browser or by using one of Kindle’s free apps for your computer or smartphone. Find out more here. Or consider getting a Kindle here (from $79)…I love mine! 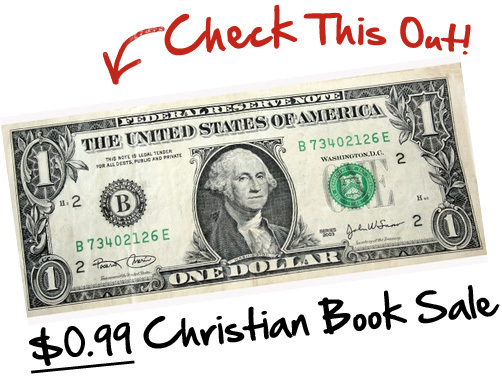 Welcome to the $0.99 Christian Book Sale! We all have a story to tell. And that’s what this book is about. It’s a collection of 35 true stories of forgiveness to inspire and encourage you. These stories come from 33 different people from various walks of life. So, no matter where you are at in your journey of life, we believe you will find hope within the pages of this book. Freedom…isn’t that what we truly want? To be unshackled and free from whatever holds us back and imprisons us. The good news is freedom is available to each one of us. No matter where you’ve been or what’s happened to you in your life, freedom is available to you through the transforming power of Christ. Come join us in this journey where you’ll meet real people with true stories of forgiveness whose lives were forever changed. You’ll be inspired, encouraged and then changed as you apply what you’re learning to your own life. It’s been said that it takes 21 days to form a habit. I don’t know about you but it sure seems difficult to break the bad habits and keep the good ones going. You may have several good habits you’ve formed in your life that have become second nature to you. For me, running has become one such habit. What started out as a legitimate way to lose some extra pounds and help speed up my metabolism eventually turned into my favorite sport and primary outlet for competition. The daily run is something I look forward to as it leaves me feeling energized and full of life. If you’re not a runner, you might not be familiar with something called an energy gel. These are little 100 calorie packets of mainly carbohydrates. Brand names include GU, Clif Shot, Hammer, and Stinger to name a few. They are a simple, easy-to-digest form of fuel. I’ve had several instances where I felt low on energy while out on a training run or in a race but then felt an energy surge after consuming one of these little guys. It’s amazing what a difference just 100 calories can make. It’s my hope that these 21 days of devotions will serve as an “energy gel” or fuel for your soul. They’re meant to be quick yet powerful and thought-provoking no matter what time of day you prefer to read (eat) them. This book traces some of the significant events of Moses’ life showing how God used an ordinary man and shaped the events of his life to bring him to the place where he could be mightily used to accomplish God’s purposes. This book is about how God built faith into a man. God is a dreamer. One day he had a dream, and he thought to himself…who will I get to fulfill this dream? Then he made you. He created you to fulfill a dream. You are made for a purpose. This book is about knowing God’s dream for your life and believing him to accomplish it in you. This book could be the most exciting thing that’s ever happened to you. To enter into God’s plan for your life is to become the person he made you to be, and to finally find the fulfillment and joy that you have been seeking your whole life. Beatitudes: How to Live a Blessed Life is a Daily-Bible-Reading Study of The Beatitudes By: Deborah H. Bateman. The Beatitudes is part of Jesus’ Sermon on the Mount and is also known as “The Blessings.” The Beatitudes are found in the book of Matthew in Matthew 5:3-12. This Scripture tells us what it means to be righteous. Jesus tells us how God expects us, as Christians, to live our daily lives and how we can receive the blessings of God on our lives. “Children of Dreams” is borne out of Lorilyn Roberts’ shattered dreams. The inspiring story of turning sorrow into life-giving hope will bring tears to the reader. The timeless theme of God’s faithfulness will make this a favorite adoption story for years to come. Despair transformed into heavenly joy and evil overcome by God’s redemptive love will inspire even the most skeptical to believe in miracles. First Partaker or as said in the financial world, pay yourself first, is not a new concept. The concept is practiced by many who get it right and thousands upon thousands that get it wrong. Most people try to put a little away on payday, but they are not always successful because life happens. If you work hard to put something on your table, why would you be the last to partake of it? It is no wonder Monday’s are dreaded and Friday’s are blessed. Inside the this book, discover why this occurs and how to begin reversing the curse. The bullet that killed Eliza Gentry’s fiance shattered her dreams as well. Clinging to her battered faith, she heads west to escape her grief and runs headlong into the man who caused it. Tall and headstrong, Eliza expected to remain an “unclaimed treasure.” Devastated in the wake of the war, she sets out for New Mexico’s Sangre de Cristo mountains in search of peace and new purpose but finds that the western frontier is a wild place where former enemies–Yankees and Rebels, Freedmen and Indians–square off in the quest for land and gold. Eliza must confront her prejudices and fears, and Jacob Craig embodies that conflict. The mountain man wins her trust with his gentle strength, but he harbors a secret. As a Union sharp-shooter, he met her fiance on the field of battle and cost him his life. Eliza must learn that she will not find purpose or peace anywhere until she finds in God a faith more precious than gold. A real ghost town comes to life in this award-winning story of love, forgiveness, and the sovereignty of God. Wind Over Marshdale is the story of the struggles within a small prairie town when hidden evil and ancient medicine resurface. Caught in the crossfire, new teacher Rachel Bosworth finds herself in love with two men at once. First, there is Thomas Lone Wolf, a Cree man whose blood lines run back to the days of ancient medicine but who has chosen to live as a Christian and faces prejudice from every side as he tries to expose the truth/ Then there is Con McKinley, local farmer who has to face some demons of his own. Add to the mix a wayward minister seeking anonymity in the obscurity of the town; eccentric twin sisters – one heavily involved in the occult and the other a fundamentalist zealot; and a host of other ‘characters’ whose lives weave together unexpectedly for the final climax. This suspenseful story is one of human frailty – prejudice, cowardice, jealousy, and greed – magnified by powerful spiritual forces that have remained hidden for centuries, only to be broken in triumph by grace. Luiz Kim, angry and unsettled since being kicked out of the Marines, decides to seek out the sister he has not seen in more than twenty-five years. He makes contact. But, after flying halfway around the world to Japan for an emotional reunion, he is stunned to learn that she has just been murdered in church, while at prayer. A killer is on the loose, and it is clear that he is targeting members of the small church community. But why? Luiz is determined to use his military background to hunt down the killer. And quickly it becomes apparent that the key is a mysterious card left at each murder scene – a card depicting the Maria Kannon, a statue of a Buddhist deity that was once revered by persecuted Japanese Christians. As the stakes go higher and higher in this adrenaline-fueled thriller – another in Martin Roth’s acclaimed Military Orders series of international thrillers – Luiz is forced to confront his notions of what it means to be alive. And whether he is ready to die. Over the course of the 21 days, God began to change me as I spent intentional time being grateful for all I have been given. I did this through writing in my journal each day and also sending a hand-written thank you note to someone different each day.And now I want to share what I learned with you in the short, but powerful book. In this four week mini Bible Study you will examine your faith and what it means to have faith in God. He said to them, “Because of your little faith. For truly, I say to you, if you have faith like a grain of mustard seed, you will say to this mountain, ‘Move from here to there,’ and it will move, and nothing will be impossible for you.” Matthew 17:20Our faith begins with what we know and believe about God. Our faith will carry us how far we are willing to let it take us. Faith is a choice and we need to begin by choosing to believe in Jesus and His power to move mountains, heal the sick, and save us from all our sins through His sacrifice on the cross. When we believe in God we then learn to walk in faith and trust God. But first we must believe, and it’s up to us, we can either choose to believe in Him or not. But faith will mean nothing until we believe with all our heart that God is who He says He is. You pray, but God doesn’t seem to be listening. You trust Him, but it appears He’s letting you down. You believe His Word, but His promises are coming up seemingly empty in your life. You seek, but do not find…you knock, but no one answers. If God is doing anything at all in your life…you can’t see it. The fight of faith intensifies, as it appears that not only is God running late…He may not even show up at all. By the looks of things, God’s either too busy in the lives of others or He just simply doesn’t care. All of our Christian life, we’re prepared to hear God speak to us, but nothing prepares us for His silence. It’s in these times of desperation, when we’re filled with doubt in the midst of our faith, when waiting on God appears to be in vain, that our faith is tested, grown, and strengthened, as we learn to trust in Him even when there appears to be now reason that we should. While we wait on God, it’s His Promises that we’ll cling to, and ultimately put our faith in, when our lives are hanging by a thread. We’ll find that God knows what He’s doing. He’s in control…even when life isn’t. You’ll find that even when your world seems to be falling apart…it’s really just falling into place in the hands of your Almighty loving God. Love getting FREE Christian books? Then, sign up below to get notified of new Christian book promotions and never miss out. You’ll also get a free copy of our report, “How to Find Free Christian Books Online” which shows you 7 places you can get more books. Summer is a great time to fit more reading time in due to summer vacations. 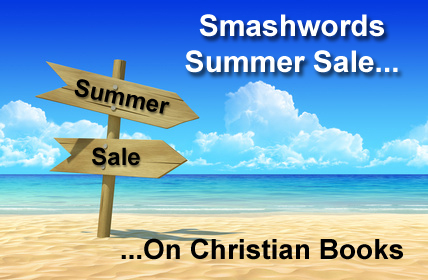 So, it’s the perfect time for Smashwords to have a summer sale! And I want to share with you specifically several Christian books that are on sale including several of ours. Some of the books are free and some of them are discounted up to 75% off. I’ve grouped them below according to the discount you’ll received during this summer sale. The sale ends at the end of July 2012, so if you want to get one of the books below, make sure to grab it today while it’s still on sale! 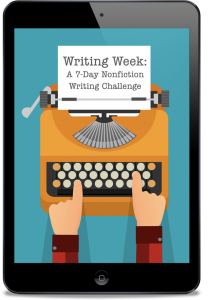 If you aren’t familiar with Smashwords, it’s really easy to use. Go to the links below and put the book in your cart. Then use the coupon code to get your discount. You can then choose which eBook format you want to read. It’s that easy! Enjoy. Note: We have not had the opportunity to read and review every book, we are simply giving you the information of which books are available on sale this month. Use the code SSWIN at checkout to get this book for FREE during this site-wide promotion! Use the code SSW75 at checkout for 75% off during this site-wide promotion! Use the code SSW50 at checkout for 50% off during this site-wide promotion! Use the code SSW25 at checkout for 25% off during this site-wide promotion! Get MORE Free Christian Books!